Have you been to one of the Bonefish Grill restaurants lately? Do you know they are offering a new menu? Well they do! In the new menu Bonefish Grill has included a delicious selection of starters, soups, bowls, and of course wood grilled fish…The husband and me stopped by the North Palm Beach Bonefish Grill location last weekend and tried two different dishes on their menu including the Pecan Parmesan Crusted Rainbow Trout which came out with artichoke hearts, fresh basil, lemon butter, fresh seasonal vegetable + choice side and I have to say that the Pecan Parmesan Crusted Rainbow Trout was without a doubt the best fish I have had in a long time! They had a full house that night and I enjoyed watching the different dishes that went out to the different tables as we waited for our table…All of them looked amazing and everybody seemed to be having a great time. We certainly enjoyed it, so much that we had decided to go back in the next few days… and the husband has already made his menu selection as I have been hearing him talking about the Half-Pound American Kobe Beef Burger! 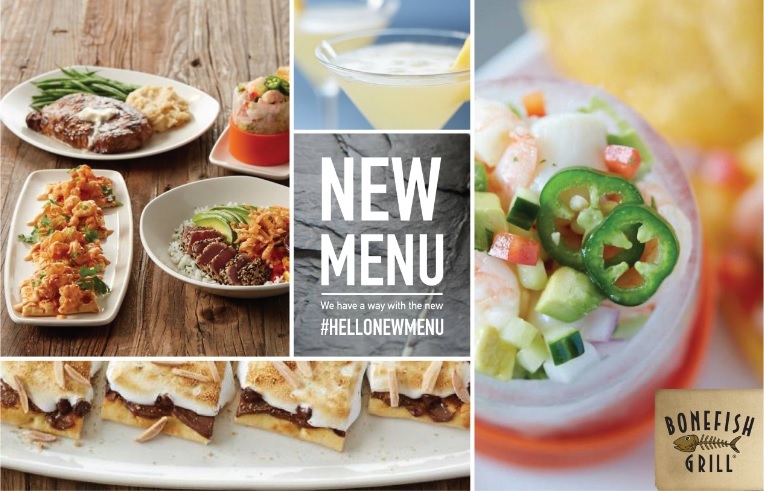 Want to try the new menu? Bonefish Grill has kindly offered one lucky Born 2 Impress reader the chance to win a free $25 voucher which can only be used towards food items (will not cover the cost of alcohol). I would love to try their new Shrimp Pad Thai bowl! I love Pad Thai and I always love the food at Bonefish grill, so I am sure it will be delicious!! The other items on their new menu look just as delicious so it was hard to pick just one! I’d love to try the Seared NY strip! I’d then, of course, have to try their key lime pie. That pecan crust sounds delicious! Bang Bang Shrimp sounds so good. The Pecan Parmesan Crusted Trout sounds fantastic – but I’d also like to try the wood-grilled ahi tuna! All the sauces sound great, too! I’d probably go with a simple lemon butter sauce. Yum! I would like to try the Sirloin + Crab Cake Dinner, Filet Mignon USDA Choice or the Pecan Parmesan Crusted Rainbow Trout or the Bang Bang Shrimp, or maybe the Half-Pound American Kobe Beef Burger and finish it off with the Macadamia Nut Brownie. I’ve been wanting to try eating at Bonefish Grill and just discovered there’s one right near my oldest daughter’s apartment, so I’ll definitely have to try the out. There are a couple of items on their new menu that sound really good to me. I’ve really had a taste for Rib-Eye Steak lately, so I’d definitely have to order that. I’d LOVE to start off with their Mussels Josephine® ~ I absolutely love mussels! Next, the watermelon sounds nice to clean my palate 🙂 For the main entree, I’d love to try the Sea Scallops & Shrimp or the Tilapia Imperial. As for dessert, I always get the creme brulee! Now I’m really hungry! I visited the Bonefish Grill website and checked out their new menu. I am not much of a seafood eater but I am excited by some of their other features. I would love to start out with the Wagyu Beef & Ginger Potstickers. The *NEW! * Seared NY Strip bowl sounds wonderful. I would also love to try their *NEW! * Fresh Pineapple Martini. Yum! I would love to try the Spicy Tuna Bowl. We don’t have a Bonefish Grill in our town. We love eatting there when we go to Myrtle Beach. I would love to try the bang bang shrimp flatbread. The similar appetizer is one of my favorites, so I know this would be delicious! My heavens, it all looks good! I would love to try the Spicy Tuna Bowl for one. I love seafood so the Ahi Tuna Steak would be good. Really it all looks delicious. I think I need to eat dinner. We love to eat at the Bonefish Grill. I like to get the Singapore Calamari appetizer. For my main dish I like to get the Chilean Sea Bass with Chimichurri sauce. I’ve never eaten there before. The mussels Josephine look really good! I love seafood. Mmm, I’d love to try their Atlantic Salmon and their Crème Brûlée! We’ve only eaten there once, for Valentine’s Day a few years ago. It was lovely! I’d love to try the Chilean Sea Bass. I’ve always seen rave reviews of this fish, but I’ve never tried it myself. I love seafood, and am always open to trying new fish dishes! The ribeye steak and the spicy tuna bowl both look amazing. The whole menu looks very apetizing! I have not been to a BoneFish Grill but after looking at the menu, Im definitely interested! The Shrimp Pad Thai Bowl looks divine. I would start my meal with Cold Snap Fresh Creviche. It’s served in a glass made entirely of ice! I’d also want the Bang Bang Shrimp Flatbread, and a Watermelon Salad. Fontina Chop sounds so yummy from there. The Bang Bang shrimp sounds really tasty and I have been told it is very good!! Yum! It all looks so good! I would love to try their new Bang Bang Shrimp Flatbread. I already love their Bang Bang Shrimp so I am sure it is delicious on Flatbread! I would like to try the Spicy Tuna Bowl. I would also like to try the Bang Bang Shrimp Flatbread. I would also like to try the Rib-Eye Steak. Thanks for the giveaway! Their wood grilled Chilean Sea Bass sounds wonderful. I’ve only eaten there once but I’d like to return. I want to try the spicy tuna bowl. Looks very good. 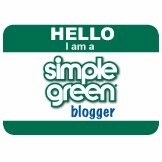 Has the Diva Files blog gone? I’ve been getting database error for a week. The Fontina Chop sounds delicious. The watermelon salad would be a refreshing way to start your meal too. We love Bonefish Grill.The new Bang Bang Shrimp Flatbread looks delicious! I’d love to try the new Bang Bang Shrimp Flatbread. I bet my husband would love the Rib-Eye Steak. I would love to try the Ahi Tuna Steak from Bonefish’s new menu! It looks absolutely delicious! And I’m always wanting to try any kind of tuna steak! It is hard to pick just one meal. I think I would go with the Spicy Tuna. The other dish that I would love to try is the Rib-Eye Steak served with the White Truffle Butter. Whenever I go to Bonefish, I ALWAYS get the Bang Bang Shrimp. Even though it is listed as an appetizer, I get it as my meal! The new menu items I’d most like to try are the Twisted Edamame Hummus and the Mussels Josephine. I love their regular menu as well. Their Chilean Sea Bass with Lemon butter is amazing. Bonefish has been a favorite of ours ever since we first ate there several years ago on our anniversary. They made it a very special evening for us. I’d love to try their Fire Roasted Vegetables! And the Fontina Chop looks yummy, too! I love their selection. I’m a big fish fan and their fish dishes look amazing. I would love to try the Fontina Chop though for something new. I would love to try the Pecan Parmesan Crusted Rainbow Trout. The Spicy Tuna bowl sounds yummy. I’d also like to try the bang bang shrimp flat bread. I bet that is good…I already love the Bang Bang shrimp tacos. I would love to try the herb pesto salmon. 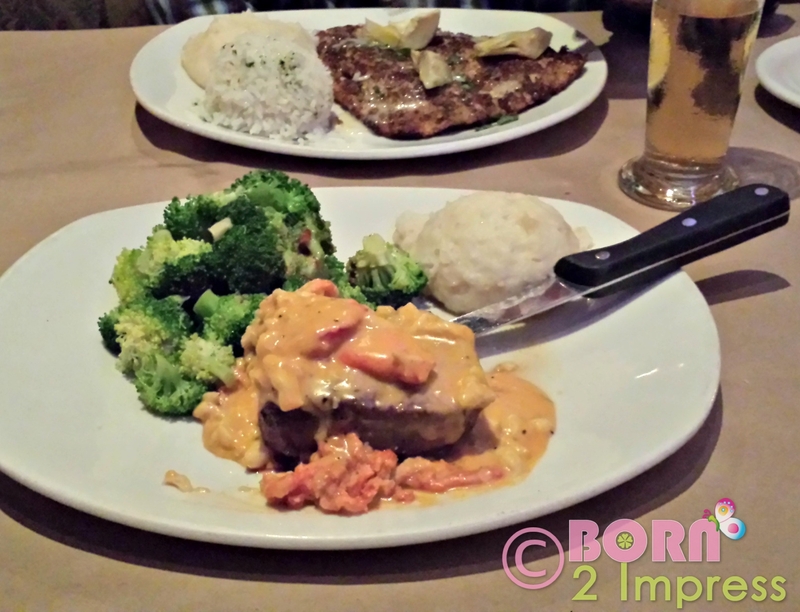 I’ve been wanting to take my family to Bonefish – we all love seafood! I’d like to try the Chilean Sea Bass. 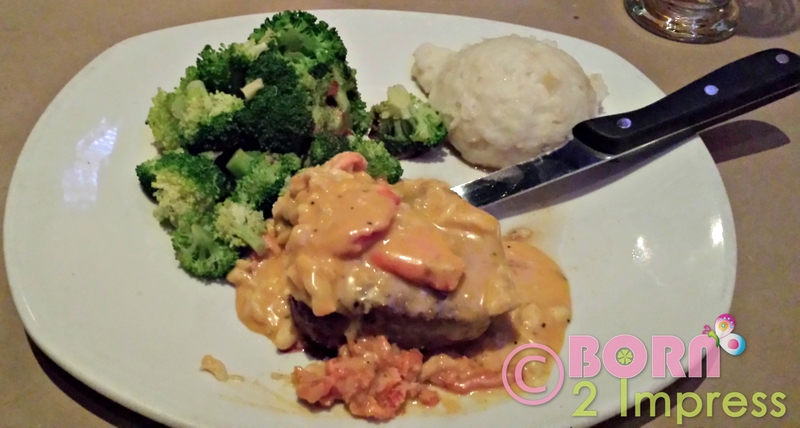 I have been to Bonefish Grill a few times and have always enjoyed my meal. I like that they change their menu and add different dishes so I can try new dishes. Ahi Tuna Steak looks so delicious would love to try it soon. We love good seafood and there are not many places around but Bonefish just opened by our home so we can’t wait to go there. We’re still waiting for our Bonefish Grill location to open, its slated for later this year. In the mean time I’ve spent a lot of time staring at the menu hopefully. I’d love to try the new Cold Snap Fresh Ceviche and NY Strip Tataki for starters. Then I’d love to try the Spicy Tuna Bowl, and hubby would probably go for his ye old standard everywhere the Fish & Chips. For dessert the Jamacian Coconut Pie and Key Lime pie look delish! I know I would LOVE the Spicy Tuna Bowl! Looks delish!! I would love to try it all! Since I have to choose I would try the Spicy Tuna Bowl. My fiance’ is not a fan of any seafood, so the only way get to eat it is when we go out. 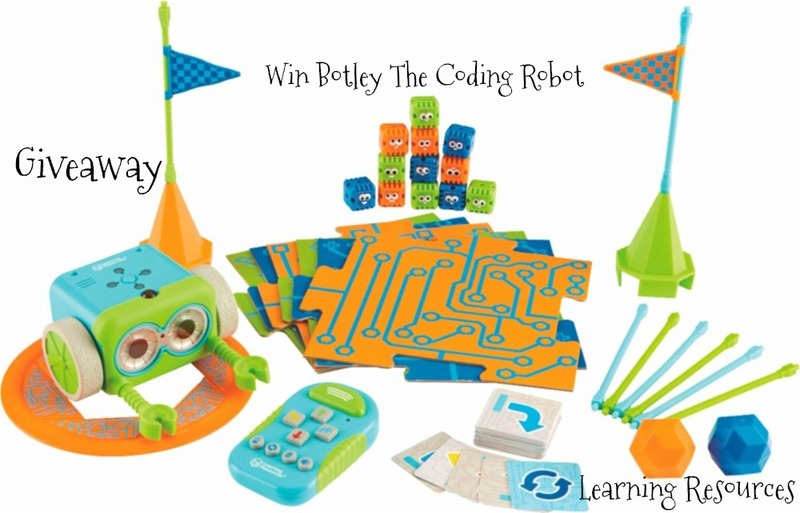 Thanks for the chance to win a gift card! I’d love to try the grilled Sea Scallops & Shrimp. I don’t think I’ve ever had those grilled before. I bet they’d be good. I’d love the Half-Pound American Kobe Beef Burger! Baja Fish Tacos look good too. I’d want Jen’s Jamaican Coconut Pie for dessert. I would start with the Bang Bang shrimp or the spicy tuna bowl and then either get the Pecan Parmesan Crusted Trout or the wood-grilled ahi tuna. I would make sure my dining partner gets the seared NY strip as I would have to have a bite of that. Bang Bang Shrimp, and the Ahi Tuna appetizer will put a satisfied smile on my face. Bonefish Grill is happily, so reliably good, and the ingredients are FRESH….I’m glad it is only a 5 minute drive from my driveway. I would love to try the seared NY strip steak, the rib eye steak, or the steak with crab cake. I have never eaten here, but I think this would be a really nice night out for my family. i can’t wait to try the S’mores Flatbread. i haven’t ever been to bonefish but i have heard that it is really good. we would love to go give it a shot. My nephew used to work at a Bonefish. He would bring Bang Bang Shrimp to family events.I would like to try those!